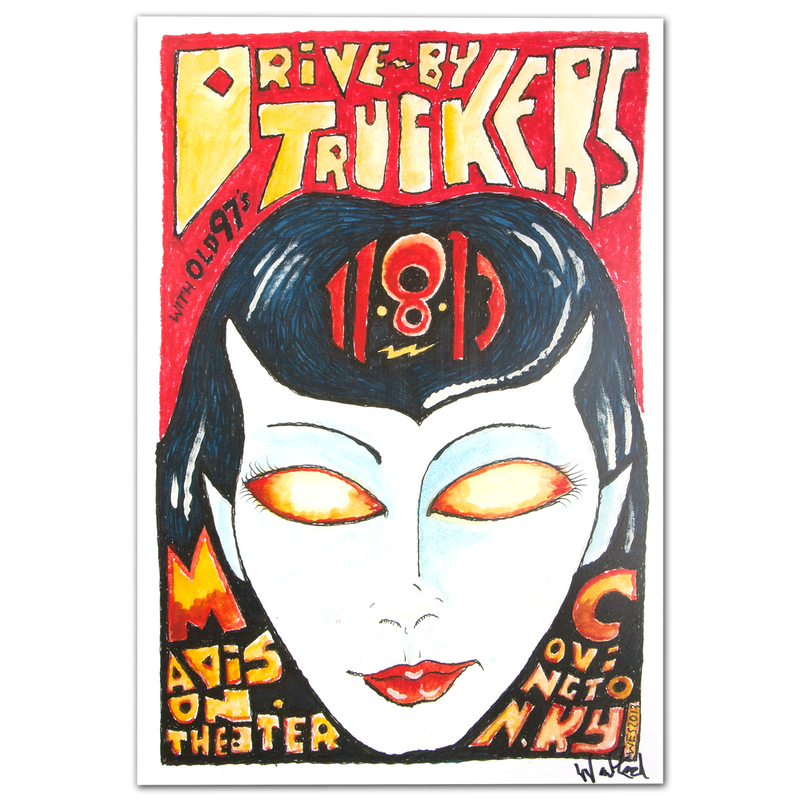 Drive-By Truckers - November 8, 2013 Madison Theater Poster. 12" x 18". Signed by the artist, Wes Freed.